Monster Hug features five unique monsters, each of which has a unique personality and set of behaviors–and each is a unique threat! Figure out when you can get in close and give each monster a hug! 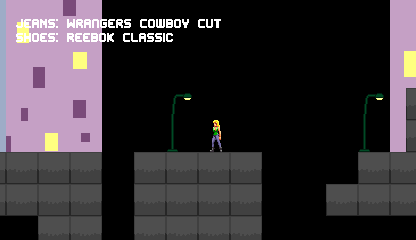 An adorable little platformer. Inspired by a suggestion by Eli Z. McCormick. Uses the font Magic Forest by anna anthropy and music by pauliuw and Juhani Junkala, under Creative Commons licenses. A tribute to IBM compatible games in CGA mode and an enhanced remake of jfroco’s game Skeletons in the Closet, a tribute to Sinclair ZX Spectrum games. This is a very late submission to this most excellent idea for hugs’s No Pressure Appreciation Nicejam! 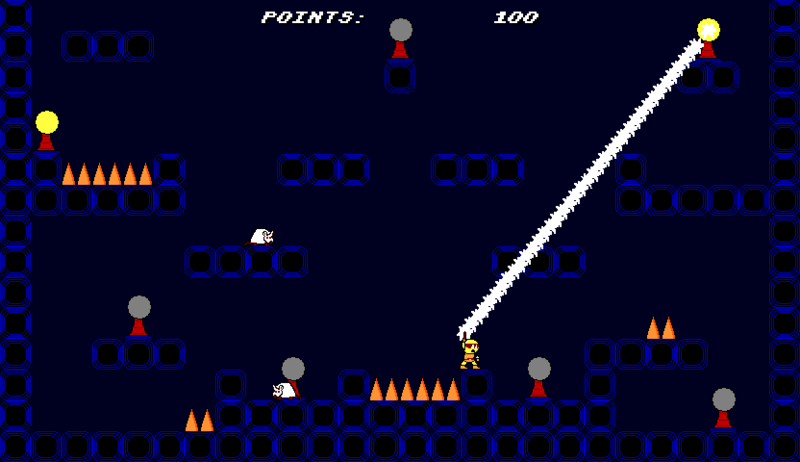 jfroco’s game is a tribute to the style of ZX-82 games, which they grew up on. I really liked the game when I played it in Pirate Kart V. Personally, I don’t have any particular nostalgia for the Spectrum, but my equivalent would be early Apogee-type shareware platformers . So my little headcanon is that this is the MS-DOS port from the late 1980s that alters the original Spectrum game, moves things around, and expands it a bit. All three original stages are adapted for this twelve-stage version! ARE YOU READY to enter the CAVERNS OF KHRON? Spikes, slugs, demons and more await you below the surface. What unknown evils will you encounter deep within? Arm yourself with sword and star and venture forth! 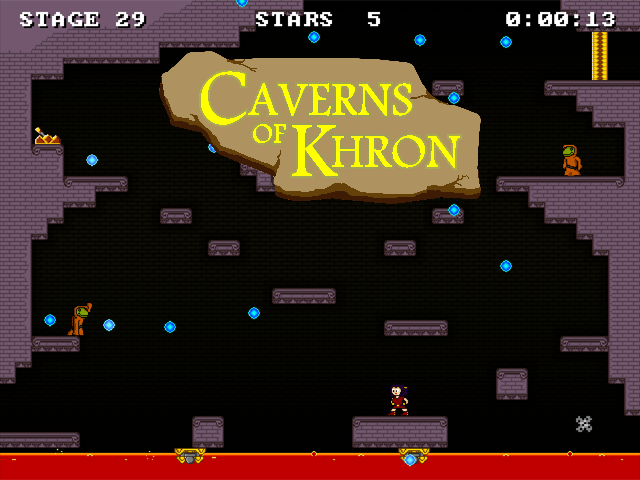 CAVERNS OF KHRON is an independent freeware game project by designer John D. Moore with music by WiL Whitlark (composer for Retro Affect’s Snapshot) and environment graphics by Michael Santiago. 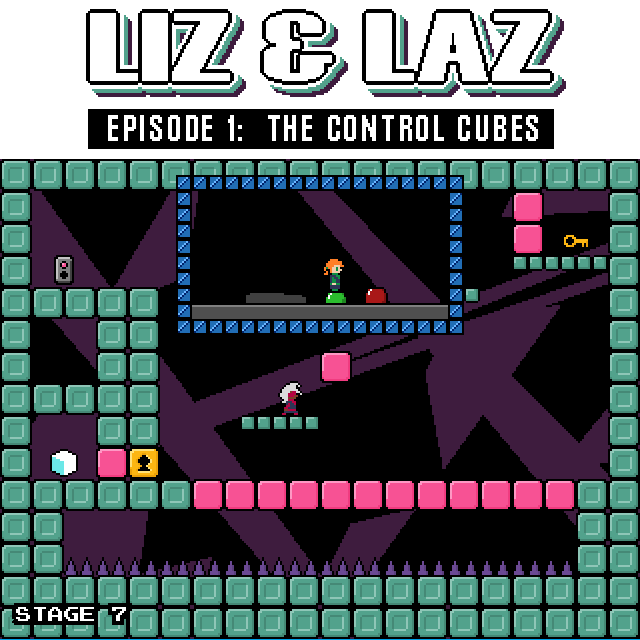 The game contains forty levels of puzzle and action platforming influenced by MS-DOS and NES games of the 1980s and 1990s. The caverns are divided into three sections with unique themes, each with its own set of environmental challenges, enemies, and bosses that reflect their environments. In addition to the forty stages in the main game, there are two shorter campaigns (Sky Realm and Special Stages), a bonus stage, a boss rush mode, a costume select, and a level select that can be unlocked after clearing the game. The game has an extensive record-keeping system to track your best runs, optimized for speedrunning. CAVERNS OF KHRON has its own website. At the time of release, this was my largest and most polished game. 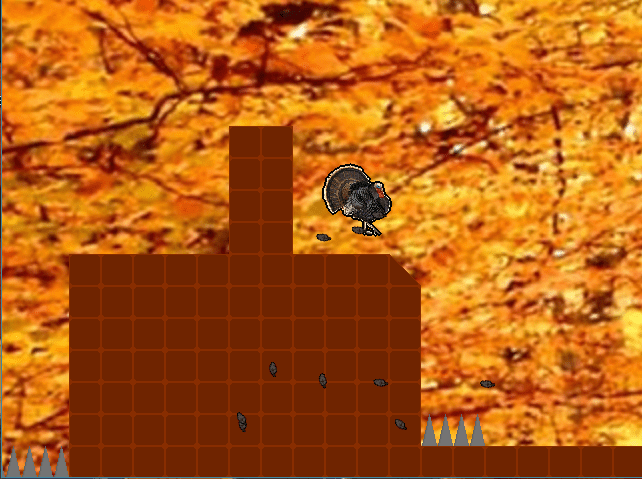 Begun as a one-month “bakedown” jam game at the SelectButtonDotNet forums, the game expanded significantly, involved a musical collaboration with my longtime friend WiL Whitlark and a graphics artist, Michael Santaigo. The game is set in a fantasy world I originally created for some unfinished QBASIC games in the mid-nineties. 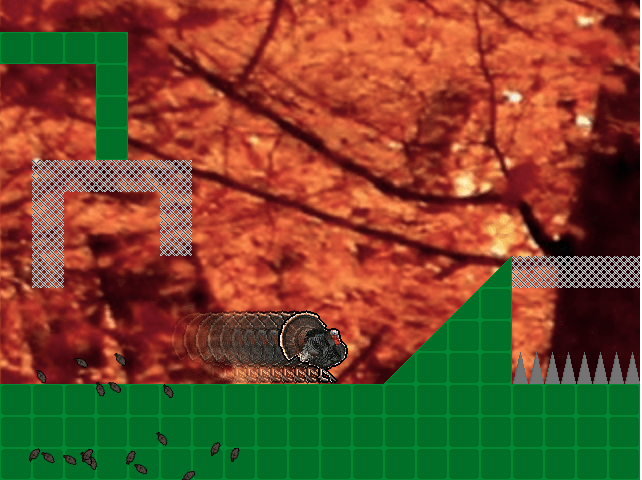 While the basic platforming is not too gimmicky (at its core, it began as a fantasy re-working of the DOS classic Monuments of Mars with a sword), the game allowed me to work out some ideas about level design I’d been itching to try. The game file contains an NES-style manual. While this game was in development, the engine was modified to provide the basis for The Adventures of Bulb Boy. You’re Jill of the City, an adult female who must escape! Escape the evil city of enslavement with the assistance of Wrangler denim and shoes! Made for an impromptu Glorious Trainwrecks event based on a spambot posting. See the event to see the prompt. Guide Shellmar the blue turtle through the perilous blue caves in search of treasure! Shellmar has the special ability to repel bullets by holding his shell over his head. Shellmar is not very strong, though, and this soon wears him out, so he can only hold his shell over his head while standing on the ground and for only one second at a time.